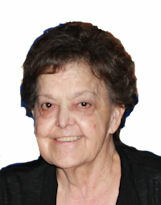 Barbara K. Rector (nee East), 70, of Sheffield Township, died suddenly on Thursday November 22, 2018 in the emergency room at Mercy Regional Medical Center in Lorain. She was born February 10, 1948 in Quinton, Kentucky and had resided in the Sheffield Township area most of her life. Barbara worked as a cashier at the Ohio Turnpike Plaza in Amherst for 15 years retiring in 2014. She was a member of Cornerstone United Methodist Church in Elyria Township and enjoyed playing bingo and going to casinos. She is survived by her sons: Albert F. (Missy) Rector, Jr of Sheffield Township, Dan (Michelle) Rector of Elyria and Terry Rector of Lorain; grandchildren: Danny Rector, Jr, Aaron Rector, Matt (Alison) Rector and Cole Rector; great granddaughter Peyton Rector; sister Cindy East of Burnside, Kentucky and brother Hobart East of Seattle, Washington. She was preceded in death by her husband Albert F. “Big Ab” Rector, Sr in 2002, parents Essie & Lela East (nee Surber), brothers John, Jerry and Jason East and sister Ruby East. The family will receive friends Monday November 26th from 5:00-8:00 pm at the Gluvna-Shimo-Hromada Funeral Chapel, 3224 Broadway Ave, Lorain. Funeral services will be held Tuesday November 27th at 10:30 am in the funeral chapel with The Rev. Chris LaLonde, pastor of Cornerstone United Methodist Church in Elyria Township, presiding. Burial will follow in Elmwood Cemetery in Lorain. Cornerstone United Methodist Church, 2949 W. River Rd N, Elyria, OH. 44035.